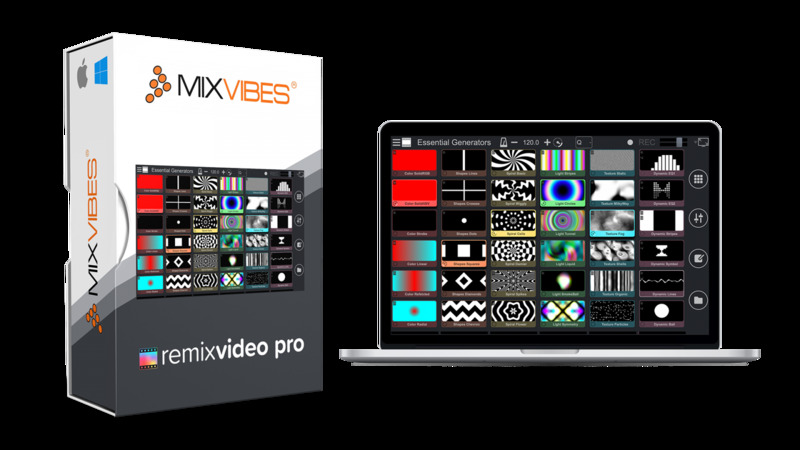 A complete VJ software that makes it easier for everyone to match music and visuals. Sync with any compatible software or hardware thanks to Ableton Link, VST/AU and Audio Live Input. Play fully-synced samples automatically starting and stopping in time. Link audio samples to video pads. Change BPM on the fly. Tweak your visuals with 18 video FX using the XY pad. 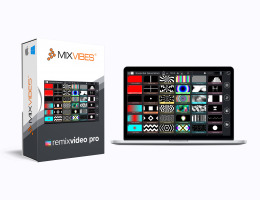 Try different ways to blend videos with 7 mixing modes. Includes 144 free VJ loops & 36 linked HQ audio samples. Free packs are available in the pack collection or in the store section. Discover Generators, visual content generated in real time. Edit their shape with parameters & let them react to the music. Use one of the natively supported MIDI controllers. Quickly assign MIDI commands to any controller. Video editor: hue, contrast, brightness, saturation, key, position & scale. AV mixer: audio & video faders, bi-filter knobs, EQs, mute & solo. Import your own samples, just drag & drop files onto the grid. Support all main AV formats (AVI, MOV, MP4, MPEG...) & video codecs (h264, HAP, M-JPEG...). VST/AU: play as a plugin. Create, edit & record MIDI sequences in a DAW. Ableton Link: play in sync on several devices running Link-enabled apps. Live video input: play webcam or camera input onto a pad. Display your performance on a secondary screen. Plugivery is an official distributor for all Mixvibes's products.